Traction, along with specific chiropractic adjustments, help restore spinal curves and proper alignment. Clinical Biomechanics of Posture® helps produce optimal posture and spinal alignment. 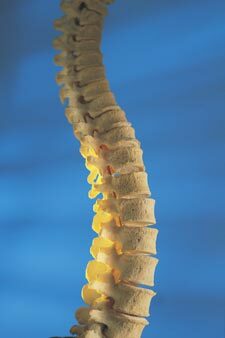 As your spine assumes a more competent relationship with gravity, symptoms diminish and health can return. We’ll take pictures of your spine. We compare these images with published standards. We’ll point out any deviations we see. Naturally, these findings will direct our specific care recommendations. After symptomatic relief, patients are offered the option to pursue Corrective Care. This is where dramatic, longer-lasting spinal changes are made. This is done through a specific protocol of adjustments, traction and exercise. Adjustments help restore segmental integrity to the spine, decrease abnormal weight distribution and avoid spinal degeneration. Traction delivers a constant force to help retrain and remodel the spine to counter the effects of long-standing postural distortions. Exercises, designed for each patient’s particular spinal abnormality, are used to strengthen weaker areas of the spine. With high levels of patient involvement and objective standards used to measure success, expect to see dramatic spinal changes.